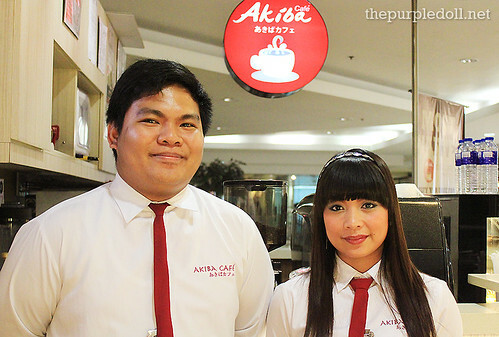 About three months ago, my date and I got to visit Akiba Café, a cosmopolitan Japanese-Filipino coffee shop inspired by Tokyo's famed gizmo and gadget district, Akihabara. Although we've enjoyed the café's best-selling Green Tea Cheese Cake and Banoffee Pie, I had an unfinished business as I wasn't able to sample Akiba's famous trifle drinks. Fortunately, our newly-established food club, The Foodies Circle, decided to pay Akiba Café a visit to enjoy the shop's sweet offerings over a serious group planning session, and random chitchat here and there. Of course, with this very timely visit, I made sure to finally get my hands on Akiba Café's trifle tea. 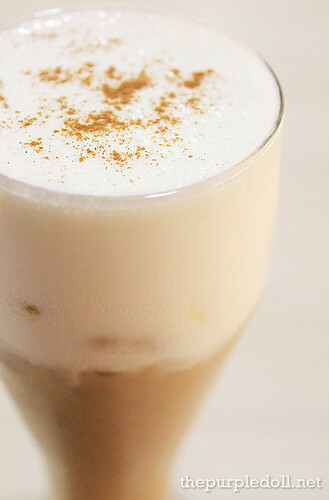 Unlike the usual tea or coffee-based beverages, Akiba Café's trifle drinks are topped with a special three-blended cream. If you've had Happy Lemon's Rock Salt & Cheese, or the foamy layer atop Gong Cha's Milk Wintermelon Tea, then Akiba Café's trifle cream is as special, just minus the waiting time in an unbelievably long line. 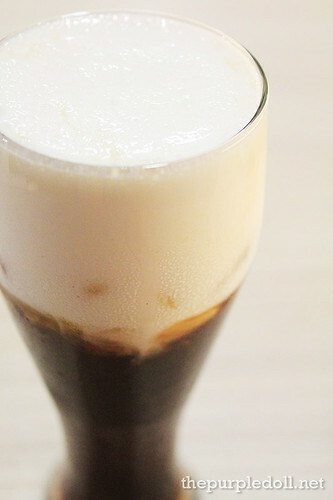 Eager to finally try a trifle drink from Akiba Café, I ordered a large Chai Trifle Tea (P100) which was a beautiful blend of spiced black tea with a strong hint of cinnamon sitting beneath a creamy, sweet yet salty foam. Since the beverage was served without a straw, I immediately savored every sip from the tall glass to the point of drinking up all of the trifle cream. Good thing our server, Christian tipped that they offer Extra Trifle Cream (P30). My friends on the other hand, had a large Matcha Trifle Tea (P100) -- a creamy, bittersweet and salty blend of matcha and the special trifle foam, and a large Signature Trifle Kohi (P100) -- the strong coffee version of a trifle drink. Although these two beverages were very different from what I had, all of us agreed that each one of the trifle drinks was good on its own. Basically, one's choice of a trifle drink will depend on taste preference. Although the trifle drinks were enough to satisfy our taste buds, our server recommended us to try their best-selling hot beverage, the Nutty Macadamia Kohi (P130). And Christian was right, it definitely left our group wanting for more. The coffee blend, although not as strong as I'd love to, was smooth, creamy and slightly sweet. It had a very evident hind of the macadamia flavor, and a lovely aroma from the sesame seed topping. We also got to try the Macadamia Yogurt (P140) which is the yogurt chiru version of the hot macadamia beverage we oh-so-love. 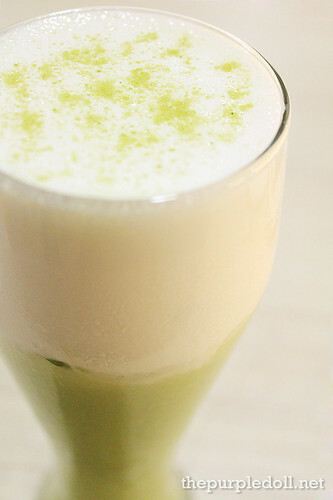 Although the macadamia flavor on this cold drink was still evident, the yogurt base definitely overpowered the whole beverage making it a blend of sweet and sour. 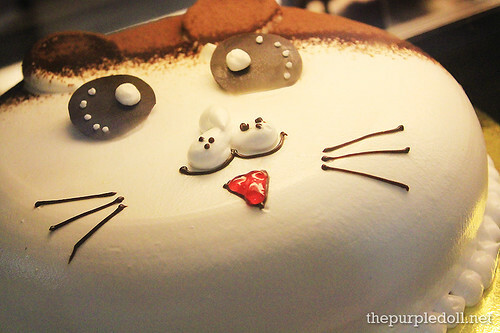 Of course, you wouldn't expect us to down all the beverages without something for the tummy, especially when Akiba Café has a glass display chiller of sweet treats housing a selection ranging from classic chocolate pastries to a cute Hamtaro look-alike puppy cake. Being cake lovers, our group wanted to try the best. Unfortunately though, the Green Tea Cheese Cake and Banoffee Pie which are the most sellable, were already sold out. And since we didn't want our server to brutally murder the head of that cute puppy, we just opted to get three of the best-selling cakes available during our visit. 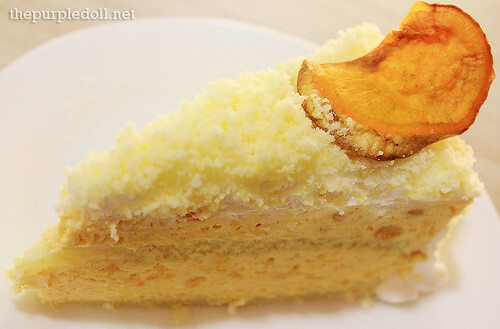 We first had a slice of the Sweet Potato Cake (P130) which was a soft, light and creamy sweet potato goodness. Made from the real thing, our group just can't get enough of this subtly flavored cake. And although this is something new to the local pastry scene, our server told us that this is a hit among the café goers in Japan. Our group also got to try the Akiba Tiramisu (P120) which we thought was misnamed. Although the top part of the pastry had fine coffee powder, the creamy base cake was sweet with a hint of saltiness. 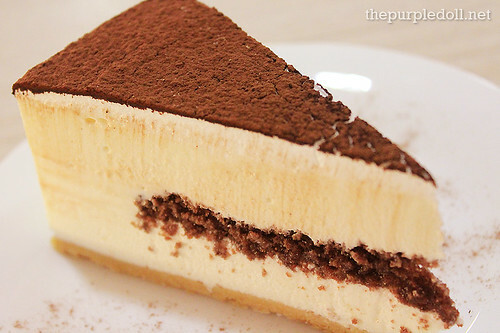 Unlike other tiramisu I've had, Akiba's tasted like a mixture of semi-sweet chocolate and trifle cream. All three of us loved how this cake was not overly sweet yet still very satisfying. However, I'd rather have this treat named as Trifle Cake. To end the cake bonanza with a bang, we had the Double Choco Mousse (P130) which was an explosion of chocolatey goodness. With thick and rich chocolate-flavored soft cream, this baby melts in your mouth with every bite. And although I love chocolate, a person without a pair of tonsils like myself, can find this treat overly sweet. 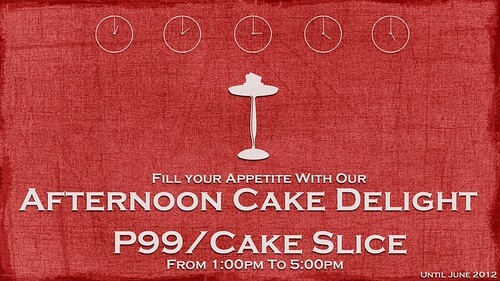 My friends and I weren't able to catch the Afternoon Cake Delight where every slice of cake can be availed for only P99 between 1PM to 5PM. 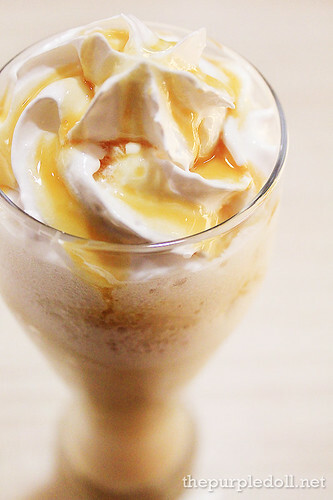 However, I'm letting you in on this one so you can better enjoy the sweet treats at Akiba Café. However, even if you don't catch the Afternoon Cake Delight like we did, your stay at Akiba Café will still be a memorable one not only because of the great-tasting cakes and beverages, but also because of the great service from friendly, accommodating and very knowledgeable baristas ready to serve you. After this second trip to Akiba Café, I know for a fact that I still have an unfinished business with this shop. With cakes and drinks impressively good, a location with a hip and stylish look, and an impeccable service to boot, then I don't see a reason why I won't be visiting Akiba Café again some time soon. EDSA cor. 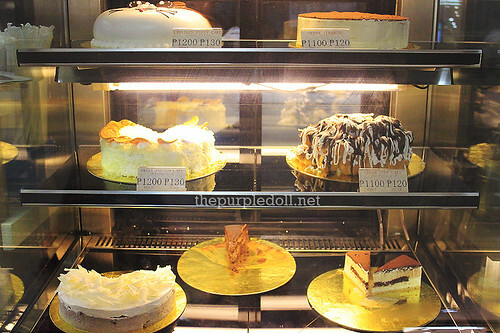 Julia Vargas Ave.
drooling over those cakes! sana malapit lang SM megemall samin. i like the cake! it's soooo cute!!! 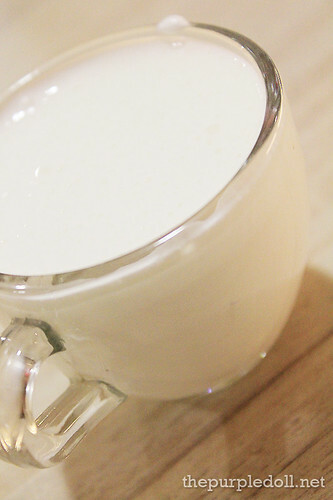 hmmm, i'm curious what is this rock salt and cheese milk tea??? macadamia yogurt sounds deliciously interesting!!! sarap naman lahat, sumi! I'm not sure if they have a branch in Cebu, but I'd love to try the Macadamia yogurt! I want to try the Macadamia Yogurt! I think it's the first time I've heard of such a drink. Is this a local establishment or a franchise? Ang ganda nag pagkaka picture mo Sumi! Parang ang sarap! Ilibre ninyo ako dyan ni Stacy! wow, ang sarap naman! ginutom ako bigla! thanks for sharing this. sa SM Megamall lang pala yan, malapit sa amin. :) btw, awesome photos! Pag ganun ang nangyari magwawalk out talga ako. Looks and sounds good. I have a sweet tooth myself which I can't indulge so much right now because of my pregnancy. Hope my hubby and I can visit Akiba after the baby comes. Thanks for this post. Sounds so Japanice! I want the Akiba Tiramisu! 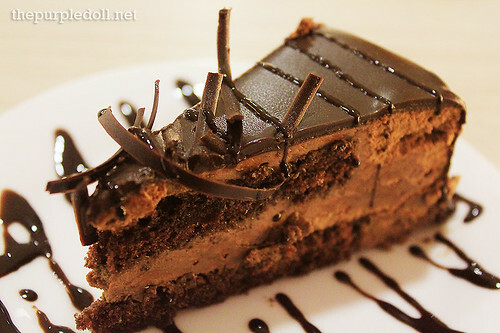 Sinful treats! @Rowena Wendy Lei: Yeah, most of their drinks are actually original! :) And it's a homegrown establishment too sis. @ALEX|INQUISITOR: Akiba Cafe wouldn't make you wait! :) Service is super friendly and fast. I think our orders were served in just under 10 minutes. I'm drooling on the cakes and drinks! Great to know about them, I might drop by if even I'll be going to Megamall. By the way, great photos you have here. Grabe naman yan Sumi. I wonder how you were able to try all these drinks and sweets for a review without having a full stomach. Actually, I was reading your descriptions and poor me, I don;t know the ingredients (etc.) you were mentioning -- thanks to your photos! I am getting an idea how it might look at, hahaah.. Wala lang talaga akong alam sa mga pagkain kasi ang alam ko lang, basta masarap, kinakain ko :) hahaaha..
wow Sumi, have u tried all? since adik na rin aq ngaun sa amoy ng coffee, I will definitely try that. tnx for sharing! I've been reading a lot about Akiba. I think the signs are clear -- must visit the place real soon. 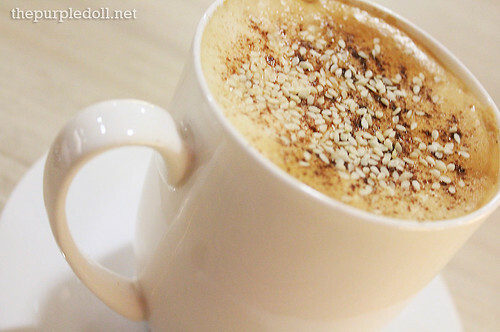 and btw, are those sesame seeds in the coffee? Can't help but adore the Puppy Cake. Parang hindi masarap kainin kasi masisira ang pagka-cute ? loved how you described each beverage. can't wait to actually taste each one of them. thanks for sharing this... galing ng pala ng pic shots mo. Yahweh bless. Was there last Wednesday- my first time. i tried the tiramisu- 'like it. Akiba's trifle tea must be worth the queue. Was it? Kids would love the Kawaiken Puppy cake. I'm getting as much hankering over these yummies as your photography. I'll have a look at your food club as soon as I send this comment. kawaiken puppy cake loooks soooo goood!!! yum! 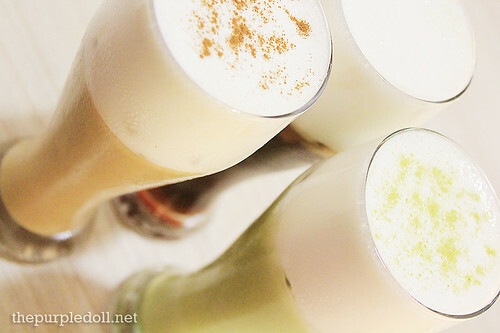 Their tea concoctions look heavenly! Would be great if they have enclosed dining area for improved ambiance.